In 1988 brothers Mark and Lawrence Zubia formed the band Live Nudes in Tempe, AZ. They soon found themselves gigging alongside the likes of the Gin Blossoms, Dead Hot Workshop, The Refreshments, and Chuck Hall & The Brick Wall. With the Gin Blossoms inking with A&M Records, Tempe’s Mill Avenue music scene exploded. Dead Hot signed with Atlantic and The Refreshments landed on Mercury. Marveling at their Tempe cohorts scoring major label record deals, Live Nudes continued to plug away on the scene and hit the studio to record a 5 song EP. In 1992 Gin Blossoms founder, guitarist, and hit songwriter Doug Hopkins got booted from the band while recording their debut major label effort New Miserable Experience in Memphis. Hopkins came home to Tempe and soon approached the Zubias about forming a band. The trio grabbed Chuck Hall’s rhythm section and dubbed the new outfit Chimeras. With a major label contract in hand, the Pistoleros starting writing with Pat DiNizio of the Smithereens, and Gary Louris & Mark Perlman of the Jayhawks, among others. By September of 1996, the Pistoleros found themselves in the iconic A&M Studios cutting their major label debut Hang On To Nothing. The record was mixed by the legendary Chris Lord-Algae. By 1997, before the album’s release, guitarist Pete Milner exited the band and was replaced with Thomas Laufenberg. Hang On To Nothing was released on October 7th, 1997 to critical acclaim. The band hit the road touring with Kenny Wayne Shepard. They also played radio sponsored shows and festivals nationally to promote the album. The single, “Guardian Angel,” found success in Hispanic markets. However, overall sales were sluggish. By 1998, the Pistoleros went into Ocean Way Recording Studios, to demo tunes for their second Hollywood release. However, the label was in turmoil and Hollywood ultimately decided to drop the Pistoleros from their roster. The band headed home to Tempe and began work on a new record. By April of 2000 the boys were recording at Gin Blossoms’ lead vocalists Robin Wilson’s Uranus Studios in Tempe. The self-titled Pistoleros was released on September 11th, 2001. In November of 2002, the band marked their 10 year anniversary with back to back sold out shows at Nita’s HideAway in Tempe. Both shows were recorded and the live album Bars & Guitars was self-released. By 2004, separate from the band, the Zubia Brothers released Voices On The Street produced by Gin Blossoms' Jesse Valenzuela and recorded at Titan Studios in Los Angeles. By 2005, Mark and Lawrence become estranged due to Lawrence’s increasing self-destructive lifestyle. 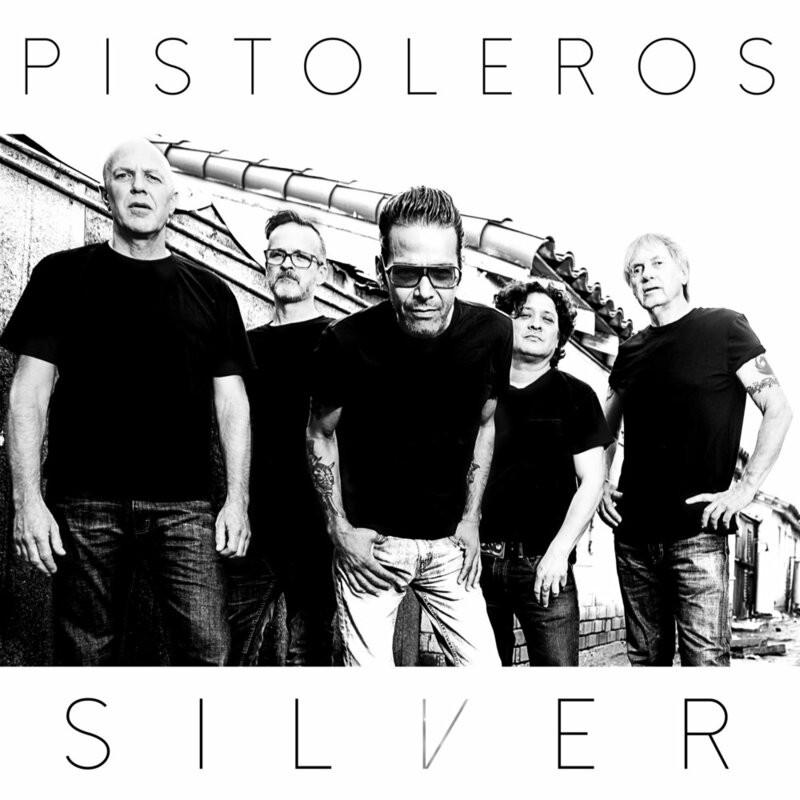 The Pistoleros were on hiatus and the brothers embarked on solo projects. In 2006, Mark released a solo album Parts Of Yesterday which found release on El Rey Records. He also gigged and recorded with his band Los Guys. Lawrence formed The Persuaders featuring members of Gin Blossoms, Dead Hot Workshop, and Pistoleros and released Ghost Ship Sailors on Cactus Rock Records. In 2017, drummer Gary Smith left the band and was replaced by original Chimeras drummer Mark Riggs. And 25 years after their founding, the band was ready to record their second album for Fervor Records. Entitled Silver, to mark the band’s 25 year anniversary, the album will drop worldwide on November 3rd.